Okay , I think it goes without saying that we are all day dreamers at times, right? Well, you’re not the only one. Your feline friend is probably day dreaming right this moment. And it’s almost 90% accurate to say they are doing it by gazing out the window; dreaming of catching that plump, feathery bird or that bushy-tailed squirrel. 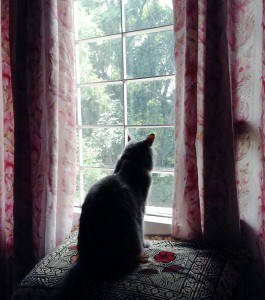 Your house may already have the ideal set-up for our observing-loving furriends; meaning a nice comfy couch placed purrfectly in front of a big bright window. If not, then welcome to the group. The window-sill-less-cat-loving-parents. 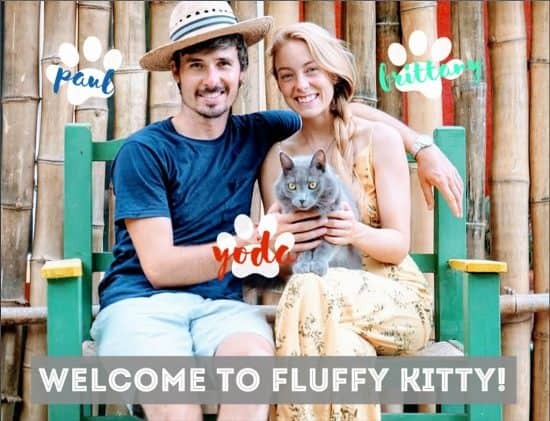 Basically, if you’re wondering what else you could do to make your fur baby happy (other than 5 key rings, 4 twirling birds, 3 oinky pigs, 2 squeaky mice, or a flying piece of yarn just for meee, just for meeeeeow).. Then you’ve came to the right place! 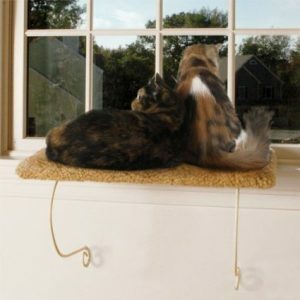 A window perch for cats is the perfect gift all year round. No seriously. Spring – flowers are bloomin’, Summer – bees are buzzin’, Fall – leaves are changin’, and Winter – snow is fallin’. Do you have any other excuse now? Didn’t think so. Below you will find the top 5 cat window perches. We selected them based on price, customer reviews, and overall rating, just to make sure you know what you’re buying for your buck. And trust us, these are GREAT deals! Our review process makes it simple and easy to decide on the best product for the best cat. If you are indecisive like me (guilty as charged) then you understand how difficult it is to choose between the blue jeans and the blue jeans, the vanilla ice cream or the French vanilla, the brown mascara or the black-brown mascara, the… Okay, I think you get the point. Let’s get started. Overall, the Kitty Cot is a great steal. We love the hammock style, that way you can add your own favorite bed to it, making it unique and personal to your taste. With a total rating of 4.6/5 stars, the Kitty Cot definitely takes the lead in the Window Perch for Cats contest. The K&H is like a total package. It’s unique and customers love it for the various styles and patterns, fitting each and every unique cat need. The photo-shopped cat isn’t so hot, we agree, but I love the kitty patterned bed that you can choose! That would definitely be our choice. Sunny Seat is one of the most durable window perches on the market by being able to hold up to 50 lbs of cat. Whoa, that’s a lot of fluff! 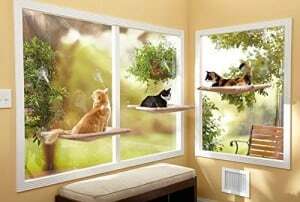 Great for homes with multiple cats. Sunny Seat is sure to impress but be careful to wash windows prior to application to ensure a good, sealed fit. So the Lazy Pet seems to be popular, maybe because it comes in a box? I think people like convenience and this one seems to offer the best of both worlds; it’s easy to assemble, clean, durable, and not to mention there is a free bonus toy! That’s sure to attract. 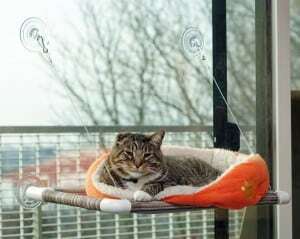 A window perch for cats is essential and you surely understand why! Our selection was designed to help you make the best choice for your little friend. Please feel free to send us questions or leave us a comment below! We hope you were able to fall in love with these great products! 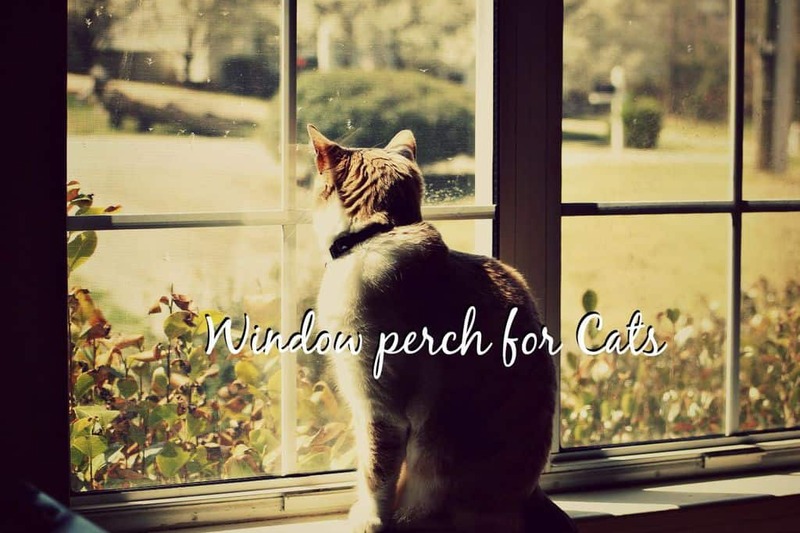 The best thing is that cat window perches will be a great buy for your great cat. Keep on dreamin’ kitties of the world! Thank you for following us on Fluffy Kitty! Do not hesitate to follow us on Facebook, Twitter, Google+ …. and all social media! If you are looking for other great product reviews, check out this page! 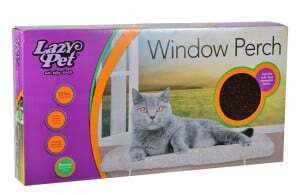 Just what we needed to return our cats’ favorite window perch to service. The original suction cups finally gave out and we weren’t able to safely mount the perch, and our cats seemed to miss their time lazing in a sunny window. As soon as the new cups were attached and the perch was put in place it was occupied. It’s been up for a couple of weeks with no evidence that the cups won’t work and last as well as the originals.